Special three-judge panels have a lot of power in NC, but how do they get it? The three-judge panels help decide the fate of major issues affecting all North Carolinians. Constitutional challenges, especially over the last year, have been highly politically charged in North Carolina and the three-judge panels appointed to hear those cases wield a lot of power with little transparency as to how they got it. Those panels, appointed by the chief justice of the state Supreme Court, help decide the fate of major issues that affect all North Carolinians, including the how much power the governor wields, who controls the public school system’s $10 billion budget and even the basics of who represents North Carolinians in Congress and the General Assembly. There have been at least 30 constitutional challenges to laws enacted by the General Assembly in state court over the past four years, according to information from Wake County court officials. The basic process of assigning three-judge panels is generally spelled out in the law but generally not well-known to the public. Any legal action that constitutes a facial constitutional challenge to the validity of a state law or any legal action challenging redistricting plans are required to be filed in or transferred to Wake County Superior Court to be heard by a three-judge panel appointed by the chief justice, who is currently Mark Martin. Aside from a few rules Martin must abide by, the law does not directly address the appointment process. Does he draw straws? Does he hand-pick judges? Is there a rotation for three-judge panels? Are there rules for how many times a judge can serve on a three-judge panel? It does, however, give those panels the sole authority at the trial court level to issue an order or judgment affecting the validity of General Assembly actions — and even though the appellate process often provides the final word on those challenges, many don’t make it that far. A lawsuit challenging the constitutionality of General Assembly redistricting plans is filed in Wake County Superior Court. A copy of the lawsuit is given to the senior resident superior court judge of Wake County, who serves as the presiding judge in the case. That judge notifies the chief justice of the Supreme Court to make two more appointments to the panel. The chief justice confers with the North Carolina Conference of Superior Court Judges, which provides a list of recommended appointments. 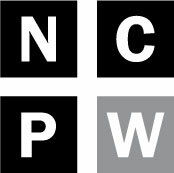 To ensure members of the panel are from different regions of the state, one appointed superior court judge must be from somewhere within the first through fourth judicial divisions (which encompasses the east and part of central North Carolina) and the second is to be from somewhere within the fifth through eighth judicial divisions (which encompasses the west and the other part of central North Carolina). To ensure “fairness, to avoid the appearance of impropriety, and to avoid political bias,” no member of the panel may be a former member of the General Assembly. 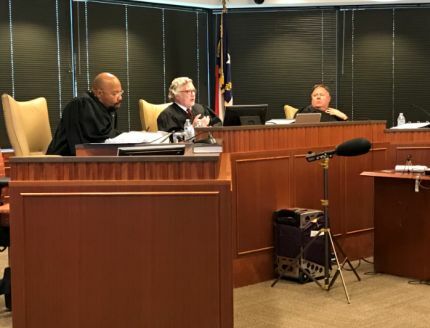 If the Wake County senior resident superior court judge is unable to serve on the panel for any reason, the chief justice will appoint another superior court judge from that county to preside. The chief justice can also appoint replacement judges from the same judicial divisions should any of the others not be able to serve on the panel. All such lawsuits are filed in or transferred to Wake County Superior Court. The chief justice appoints three superior court judges to hear the challenge in Wake County. To ensure that judges represent different regions of the state, one superior court judge must be from the first, second, or fourth judicial division (see a map here), one must be from the seventh or eighth judicial division and one must be from the third, fifth, or sixth division. If a judge cannot serve on the panel for any reason or is removed at the chief justice’s discretion, the chief justice can replace them with a judge from the same judicial division. Click here for more information on the structure of the North Carolina Court System and the division of authority and responsibility amongst the various state judicial branches. These are the known constitutional challenges that fall under statutes providing for the appointment of three-judge panels. This information was compiled by Kellie Myers, Wake County trial court coordinator, with some additions by NC Policy Watch for updated information. Myers last updated the list in Dec. 2017. There may be some missing information from the court. Referred to a 3-judge panel? NC State Board of Education v. State of NC and NC Rules Review Commission Wake No -- Court of Appeals dismissed, said it should have gone to three-judge panel The state Court of Appeals dismissed an appeal, noting that it was without jurisdiction to hear the appeal because the appeal lies of right directly to the Supreme Court from any order or judgment that holds an Act of the General Assembly is facially invalid as a constitutional violation under G.S. 7A-27(a1). Nour v. Lost Treasure Gold Wake Pending review UNCLEAR: Plaintiff appears to challenge the constitutionality of Rule 414 of the North Carolina Rules of Evidence and 2011 amendments to G.S. 8-58.1.
Cooper v. Berger #3 Wake Yes, on 11/16/2017 -- by Judge Paul Ridgeway Section 1 of Session Law 2017-7 (Reducing the Size of the Court of Appeals); G.S. 143B-135.240 (Clean Water Management Trust Fund); G.S. 143B-168.4 (Child Care Commission); G.S. 143-135.25 (State Building Commission); G.S. 143B-135.202 (N.C. Parks and Recreation Authority); G.S. 143B472.128 (Rural Infrastructure Authority); G.S. 74C-4 (Private Protective Services Board); Section 6.6. (b) of Session Law 2017-57 (Voucher Mandate) 11/20/2017 Henry Hight Jr.